Looking for some new staple pieces of jewellery for your collection? I know for one I'm always trying to find the perfect piece - whether it be a necklace, bracelet or earrings etc . . . - to compliment my outfit for the day. You know what they say, the perfect piece of jewellery can complete an outfit. 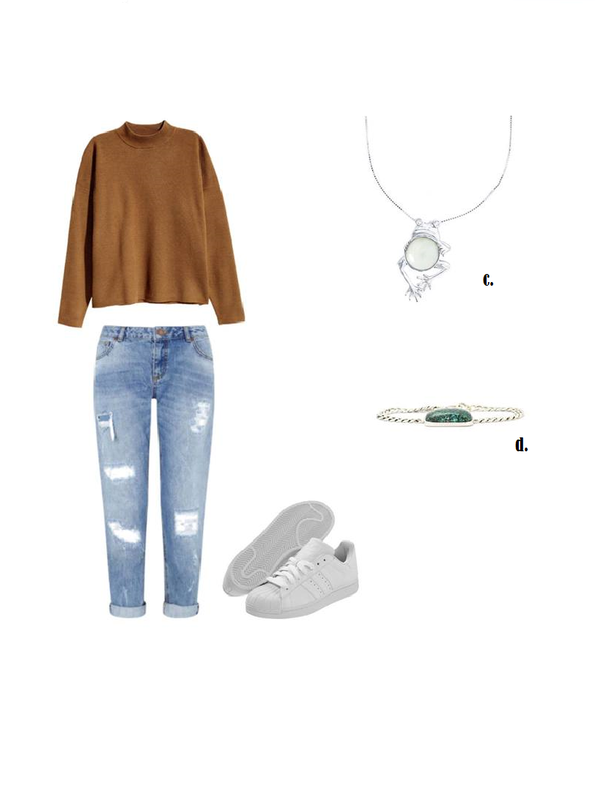 So I've put together four different outfit styles and matched them with just a tiny fraction of the beautiful pieces from my new favourite site Gemporia. I think you're going to love Gemporia as much as I do - not only are there endless amounts of jewellery for you to pick your way through, the company has some great standards and ethics that they stand for. Gemporia is a family run business, which believes that the gems that we wear should be 100% real. Pretty good right? And wearing real gems doesn't have to break your bank either - with a huge price range, you'll be able to find real gems that suit your budget and make you feel like a queen. And that's only the start. . . They source their gems from everywhere and the location is key. Working alongside The Colourful Life Foundation, they support the communities that they are finding these beautiful gemstones in, which helps them grow and develop too. With sources in Kenya, Zambia etc, they've helped fund projects to improve education, health and the environment. Have a read of their work with The Colourful Life Foundation here! I've managed to have a play around on my computer and fixed together a few outfits for you to see just a couple of ways the gems can be styled. I've kept the budget below £100 in most cases - but if you've got a big birthday coming, or a special event then there are plenty of pieces that will catch your eye for a little higher budget. This outfit is simple but sophisticated for a ball or formal party. The plain black dress is the perfect back drop for a statement piece of jewellery. I chose this necklace because its bold and stands out. There's so many gems that will sparkle and shine with the dark dress behind. I matched it with the similar earrings - going for a big shine look. The earrings are a diamond shape which mirrors the triangular shape of the necklace. They're perfect for showing off and feeling like a star. This outfit is the perfect combo of slouchiness and style - exactly what I would wear for a day at university. Its cosy for the coming autumn months and needs some fun jewellery to go along with it. I've fallen in love with this frog necklace - its super cute, and the perfect amount of playfulness while still being delicate. I paired it with this bracelet - matching the silver chains, but contrasting the stones. The clear gem in the frog stands out from the beautiful deep green of the bracelet. The bracelet is all about the gem - showing it off front and centre on your wrist will no doubt bring lots of compliments your way. Here's an outfit that suits the fancier occasion without being too dressed up. It's a cosy simple outfit that suits some simpler jewellery pieces. This necklace is sweet - hearts are always a nice girly touch but this necklace looks a little different with three hearts. The three hearts are all in different tones - silver, gold and rose gold which makes it so easy to mix and match different tones of other jewellery. This is why I chose a rose gold bracelet to go with this outfit. The slight sparkle of the bracelet is enough to add that extra something to the outfit without being too over stated. This dress is perfect for heading out for a night in town, or to a bar for some drinks. The dress is pretty with an intricate design on the high neck. This means a necklace is probably not suited to this dress. However, earrings and a bracelet are totally needed. And who said red and green should never be seen? I've decided to push certain fashion rules to pair this red number with some green jewellery. Both the earrings and bracelet are so similar (although different stones in each). They're beautiful and delicate, but will stand out against the red dress. Green is such a gorgeous colour and this clear green draws you in. As you can see, each of these pieces are beautiful - and so versatile, these aren't just one time or 'special occasion' wears, they could all be matched with so many different outfits. And if you didn't see something here that tickled your fancy then you'll easily find something else on the website (which you can check out here). I'd love for you to share your favourite pieces - whether its one from my wishlist post or another you've found on your own search of the website. Gemporia is a brand that you should get behind too - Christmas is coming up (okay still a few months, but its never too early to plan) and some of the pieces here could be the perfect gift. * This blog post has been sponsored, however all views are my own.